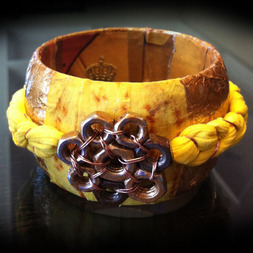 From Inspiration to creation—These unique handmade cuffs made from recycled materials was the vision Veronica Gadea had in mind when crafting her very first wooden cuff. 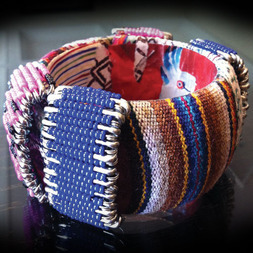 With a background in graphic design, the idea of turning magazines and catalogs that seemed to collect in a forgotten pile at home into a piece of wearable art started as a hobby. 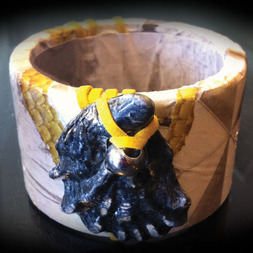 EE cuffs is an eco-friendly sustainable solution for the fashion world. Veronica is inspired by the environment and everything that surround us such as glass, fabric, flowers, seashells, stones, metals and vintage finds. One-of-a-kind art pieces. 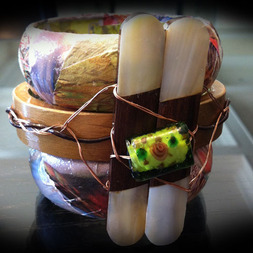 These cuffs are not only Eco-friendly, but they are truly wearable art.